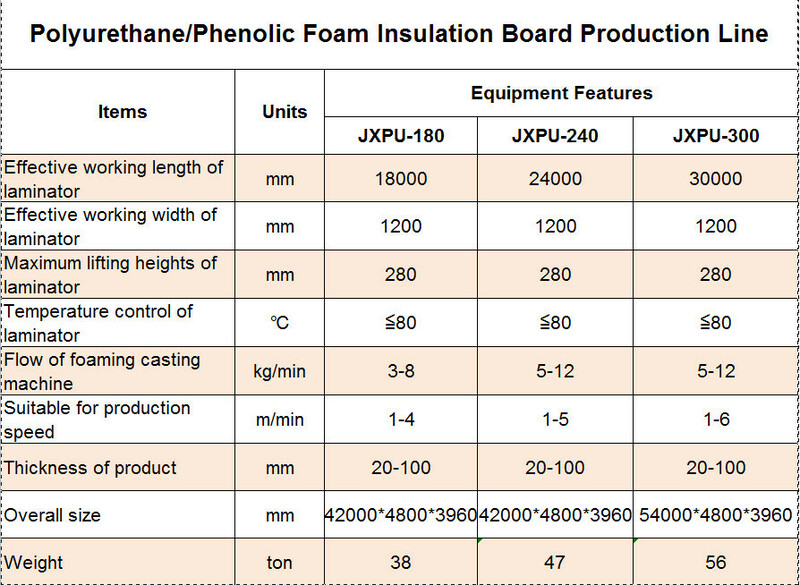 The production line equips high pressure foaming system for polyurethane user and low pressure foaming system for phenolic user. 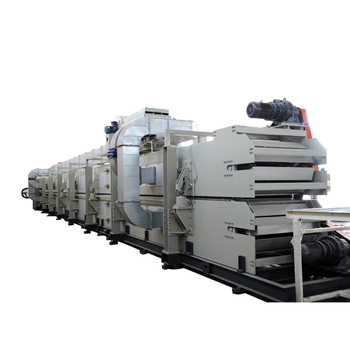 Two-component’s raw materials are accurately distributed to surface materials via CNC numerical control system, and then put into the double crawler laminator to be shaped and cured by high temperature and high pressure. The cured boards could be cut into any sizes of finished boards according to customer’s demands.